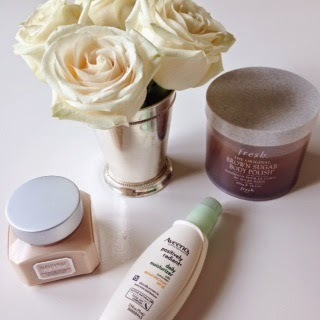 Today I’m talking about a few of my favorite skin care products! I firmly believe that you should take care of your skin and invest in quality products that you love and make you feel like a million bucks. I also don’t have a million bucks so that’s why I know from experience that you can get high quality beauty products without spending a fortune. For a decade I’ve used AVEENO POSITIVELY RADIANT Daily Moisturizer Broad Spectrum SPF 30. It’s simple, smells great and my makeup glides on after applying it. Plus it has a broad spectrum sunscreen- this is non-negotiable, ladies! WEAR SUNSCREEN. Obviously this is for your health and well being but you really don’t want to end up looking like Magda from There’s Something About Mary. Not a good look. Not only is this lotion CHEAP but you can get it at just about any drugstore. I’m the type of person who stays very loyal to brands. Once I find something I love, I use it for ever and have a hard time changing up my routine. So is the case with all things Laura Mercier. I learned about the brand during an internship I did at Neiman Marcus 14 years ago and starting using their products. My personal favorite is Almond Coconut Milk but they are all divine. This cream has a whipped texture and goes on silky, not tacky. Nothing irritates me more than feeling like your legs are sticky from lotion and having to wait to get dressed because it isn’t absorbed yet #girlprobs. 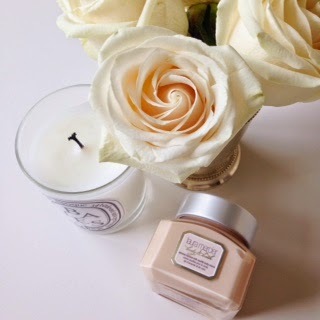 This cream also makes for a great gift and the jar looks gorgeous on a vanity or bathroom shelf. Before you lather up with that lotion you must try the Fresh Brown Sugar Body Polish. I’ve used a lot of scrubs in my day and some of them are so granular that it feels like you’re cleaning your body with a sandpaper washcloth. No thanks. Not the case with this one! This scrub sits in oil so while your buffing your body smooth you’re also moisturizing at the same time. It’s perfect for this time of year when everyone is a bit ashy from the winter and the scent is light and heavenly. If I did have unlimited income (I don’t), I would buy this. It is the Rolls Royce of face creams. The CREME DE LA CREME! I once heard a rumor that JLO uses La Mer face cream as her body lotion. Honestly, it wouldn’t surprise me…have you seen her lately? Girlfriend is literally glowing from the inside out. What are your favorite skincare products? Thank you so much for reading! Raquel, if you knew how many times I've put it in my 'cart' at Nordstrom online and then backed out you would freak! What a great self push present though! I need to just pull the trigger! Great tips! I need to try that scrub! You will love it! It's such a treat! I am excited to try the Aveeno! 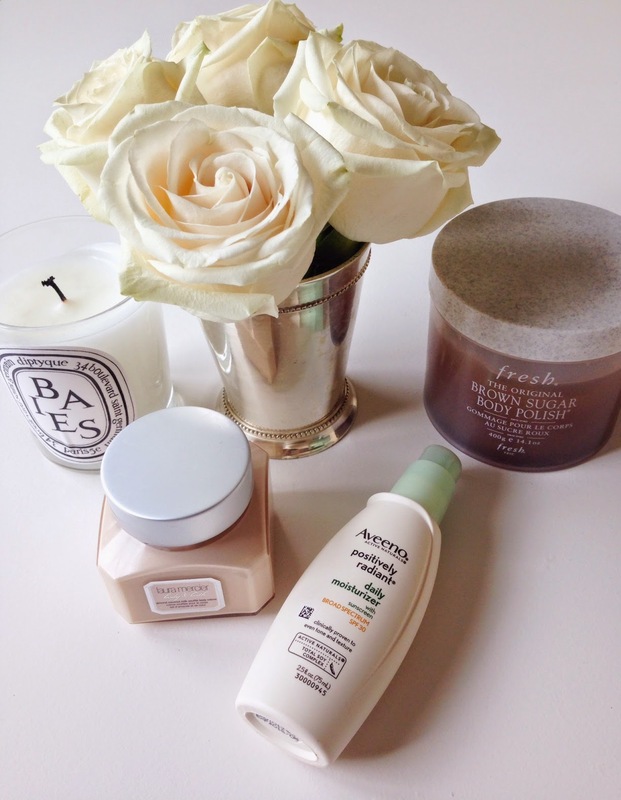 I am totally psycho about how makeup goes on over a moisturizer! I have thrown SO many away bc they feel chalky. thanks for the tip!! I'm going to have to try these products! Thanks, Kara! What are you using for night cream and eye cream?? Shay, thanks for the comment! 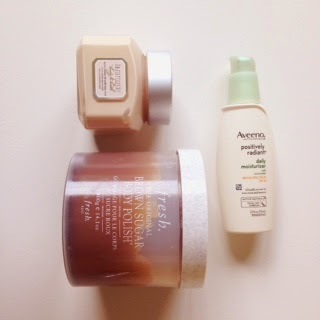 I also use the Aveeno anti-aging night cream and eye cream! I'm not crazy about the eye cream so let me know if you find something you love! I love that you decided to set up this blog! It's great! Lots of Love <3 ~Mackenzie J.